Au Courant loves Caffe Luxxe. 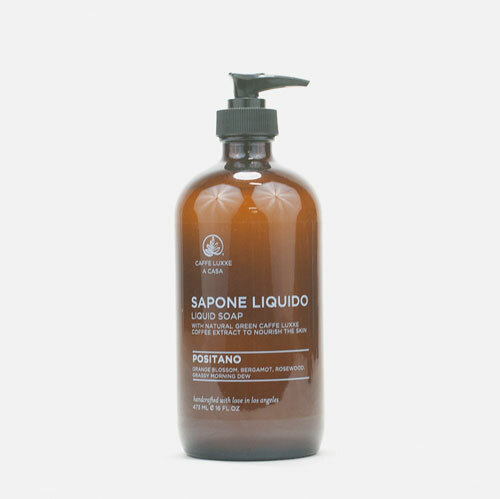 They have created another product to get excited about - Positano Hand Soap. The fragrance is amazing and the green coffee extract in the formula is very nourishing and moisturizing. The same fragrance also comes in a hand cream and body lotion. All made in Los Angeles. Enjoy!